Looking for a tasty and beautiful centerpiece. This fresh fruit arrangement is the perfect choice for your parties and celebrations. 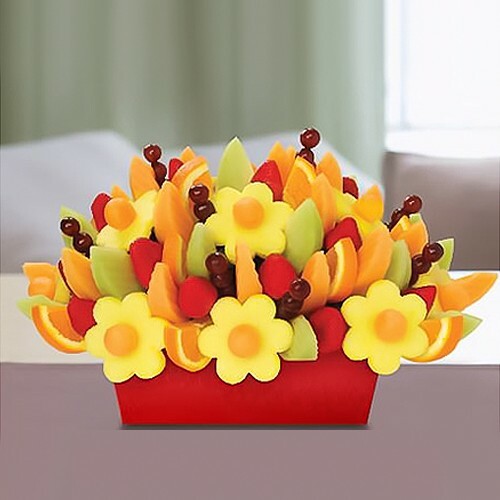 Featuring pineapple daisies, strawberries, honeydew, cantaloupe, grapes and fresh orange slices, this bouquet is a colorful addition to your dining table. Ingredients banana slices dipped in chocolate, fresh strawberries, cantaloupe and pineapple daisies.